On the 3rd and 4th of February, AREN will hold a national training and development weekend in Dromineer, County Tipperary. Accommodation is available at the Lough Derg House & The Lake Cafe, booking is required, please contact EI4JN at QTHR. 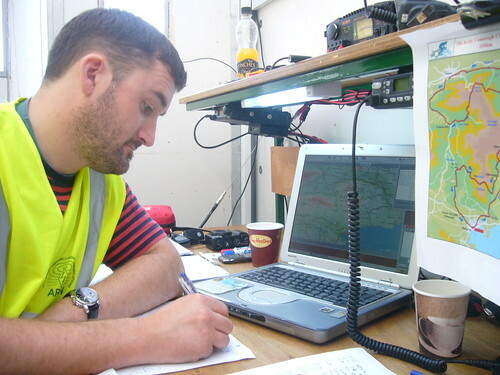 Previous weekends have included Message Handling exercises, Winlink & Winmor demonstrations and training, NBEMS demonstrations and training, Robust packet demonstrations, PV systems demonstrations and presentations on NVIS and its usefulness for public service communications. 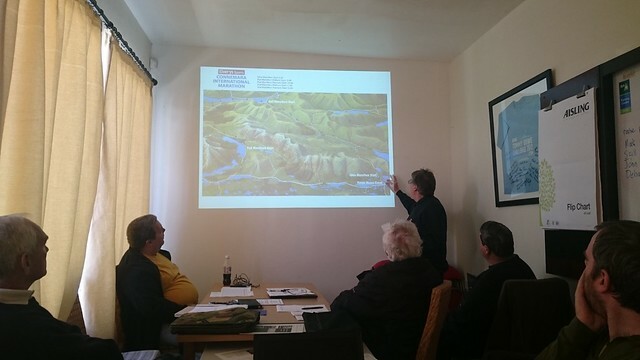 On the weekend of the 18th and 19th of April the Amateur Radio Emergency Network held a training and development event in Dromineer County Tipperary. Members enjoyed a mix of indoor and outdoor activities with Winlink, Fldigi (NBEMS), message handling, navigation skills and go-kit demonstrations to whet the appetite. AREN would like thank Declan EI2GE of the Lough Derg House & Lake Cafe for accommodation, Denis Dillon of Shannon Sailing for the training facilities and especially the members for giving of their time and making the trip to Dromineer. The Sean Kelly Tour is over for another year. AREN was invited by Waterford County Civil Defence, along with the Irish Red Cross and Order of Malta to assist at this years event. Our principal task this year was to track the sweeper vehicles in each event, on the day we were also tasked with establishing a radio link with Order of Malta. The APRS units from Byonics worked quite well, giving us information as to the sweepers location, and after discussion with the Officer in charge of Order of Malta, a communciations link was successfully established. Everything worked as expected on the day and it was great to see the different organisations all operating together. We look forward to meeting everyone in Lough Derg House, Dromineer, this coming weekend for a training and social event. Could those attending please confirm with Conor, EI4JN, and we look forward to seeing you there. On the evening of December 9th last, AREN members participated in an exercise with Dunmore East Coast Guard. 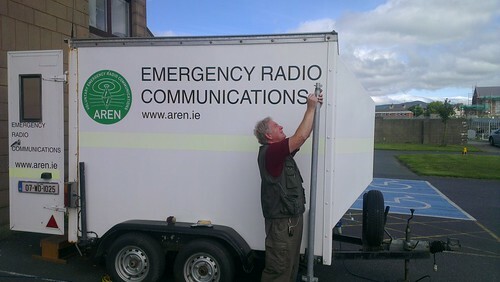 AREN was able to provide communications into what was otherwise a communications black-spot and had members available for logistical support throughout the county, region and country. 10 Members participated in the exercise and all members enjoyed it and learned something. Many thanks to those who participated, have a good Christmas, and we look forward to meeting everyone early in 2010. Dunmore East Coast Guard have indicated that they could be having a night exercise at some stage in the next few weeks. The location is in an area where they traditionally experience difficult communications. Hopefully we will be able to assist. The Sean Kelly Tour took place last Sunday August 30th, and from all unofficial accounts it was quite successful with roughly 2700 hardy cyclists taking to the roads. Many thanks to EI2KA, EI8FDB, EI5GOB, EI2GN, EI3IQ, EI2JP, EI7IG, EI8EPB and EI8JA for their assistance on the day. Net Control from 1st January through to 31st of March is EI2GN, with EI5GPB as backup. 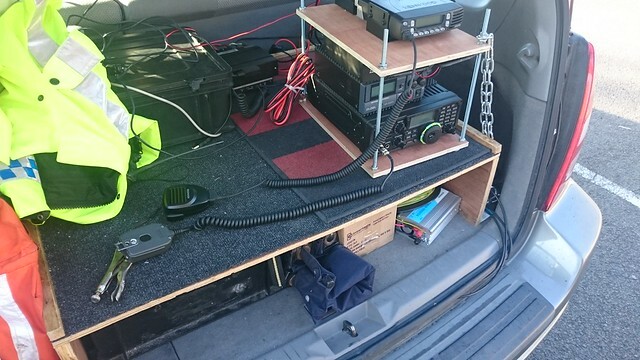 Net Control from 1st January through to 31st of March is EI7IG, with EI5GPB as backup. Winter training net’s continue on the 7th and 21st of the Month at 19:30 hours. All members are requested to participate. It is intended to have alternate voice/digital nets. The nets will alternate between voice and digital modes on the 7th and 21st of the month, over the next few months. There will be an 80m AREN net on Sunday the 2nd of November at 19:30 hours, and all AREN members are requested to participate if possible. The net will be a preparation excercise for the GlobalSET which is scheduled to take place on 8 November.